The Hoist Rings market was valued at 310 Million US$ in 2018 and is projected to reach 420 Million US$ by 2025, at a CAGR of 4.4% during the forecast period. DUBLIN, United States - April 9, 2019 /MarketersMedia/ — Hoist rings are load-centering eyebolts. They are designed to be rigged from the center or the side and may pivot or swivel. Some hoist rings connect directly to webbing, chain, or shackles. Others have a hook-end rather than a standard bail, eye, or ring. The Hoist rings industry is expected to remain innovation-led, with frequent acquisitions and strategic alliances adopted as the key strategies by the players to increase their industry presence. Meanwhile, optimize product mix and further develop value-added capabilities to maximize margins. Price of Hoist rings in US and EU is much higher than that of China and other developing countries due to their high quality and powerful functionalities. Developing countries such as China is more likely to attract more investment opportunity for their potential demand. Despite the presence of competition problems, due to the global recovery trend is clear, investors are still optimistic about this area, the future will still have more new investment enter the field. Even so, the Hoist rings market is intensely competitive. The study group recommends the new entrants just having money but without technical advantage and upstream and downstream support do not to enter this field. This report presents the worldwide Hoist Rings market size (value, production, and consumption), splits the breakdown (data status 2014-2019 and forecast to 2025), by manufacturers, region, type and application. •	To analyze and research the global Hoist Rings status and future forecast，involving, production, revenue, consumption, historical and forecast. •	To present the key Hoist Rings manufacturers, production, revenue, market share, and recent development. •	To split the breakdown data by regions, type, manufacturers, and applications. •	To analyze the global and key regions market potential and advantage, opportunity, and challenge, restraints and risks. Crosby Group, RUD, CODIPRO (Alipa), Jergens, YOKE, JDT, American Drill Bushing, DME, Pewag, Carr Lane, TE-CO, Actek, Tianjin Yiyun, Norelem, Gunnebo Industries, WDS, Stamperia Carcano, Northwestern Tools. 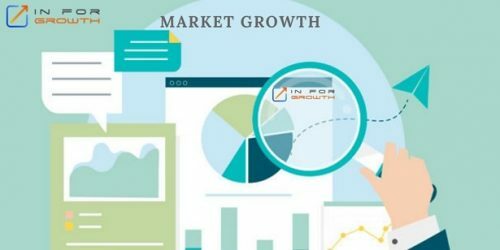 Executive Summary, Future Forecast, Market Opportunities, Challenges, Risks and Influences Factors Analysis, Breakdown Data by End User, Breakdown Data by Manufacturers, Breakdown Data by Product, Company Profiles, Value Chain and Sales Channels Analysis.